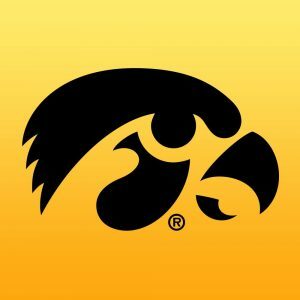 IOWA CITY – The University of Iowa has added home dates with Western Michigan and Utah State to complete its 2023 football schedule. Iowa also announced the dates for the Iowa Corn Cy-Hawk Series games in 2022 and 2023. The Hawkeyes and Cyclones will meet Sept. 10, 2022, in Iowa City, and Sept. 9, 2023, in Ames. Iowa hosts Western Michigan in Kinnick Stadium on Saturday, Sept. 2, 2023, to open the season, while Utah State visits on Sept. 16. Iowa opens Big Ten play against Purdue in Kinnick Stadium, then travels to Wisconsin. Rutgers visits for Homecoming on Oct. 7. The remaining October schedule includes a game at Northwestern, a home date with Michigan State and a visit to Penn State. Iowa’s November schedule begins with a home date against Minnesota, followed by an open week. The Hawkeyes host Illinois before closing the season at Nebraska. Iowa and Western Michigan have met three times in football, with Western Michigan holding a 2-1 advantage. Iowa defeated Western Michigan 59-3 in 2013 in the most recent meeting. The Broncos defeated Iowa in 2000 (27-21) and 2007 (28-19). All three previous meeting took place in Kinnick Stadium. The Hawkeyes hold a 2-0 series advantage over Utah State, winning 70-14 in 1957 and 48-7 in 2002, with both games taking place in Kinnick Stadium.